Obama extended the olive branch, and Castro stole all the olives then cut off the branch. In what I would call a scathing rebuke, Castro fired off a letter to Obama that would be an embarrassment to a real president. 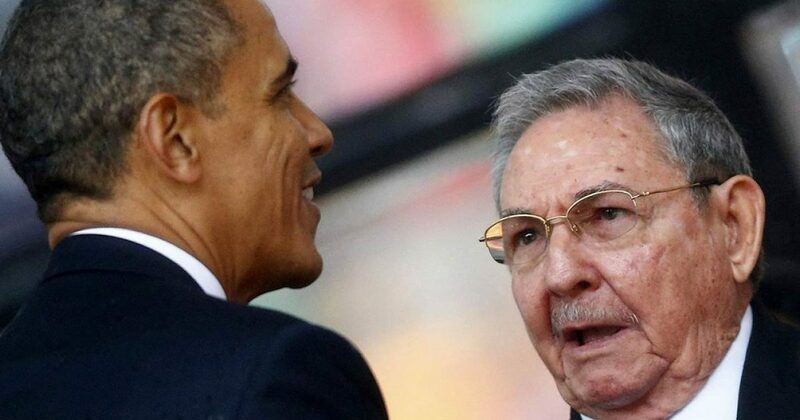 Castro may be old and feeble, but he remains sharp enough to handle the great pretender. Obama loves the imagery of slavery, forgetting that in the United States, we overcame the Democrat practice. Castro took offense to the reference saying that Obama’s comments were alien, foreign to Cubans. “My modest suggestion (to Obama) is that he reflect on (the turbulent history between the two countries) and don’t try to elaborate on theories about Cuban politics,” he wrote. Castro also made mention of the United States’ efforts to overthrow Castro and the revolutionaries in the historic Bay of Pigs invasion. It’s high time to forget the past and look to the future, let’s look together, a future of hope. And it will not be easy, there will be challenges, and those we will give it time; but my being here gives me more hope for what we can do together as friends, as family, as neighbors, together. Castro remained unimpressed. He referenced the 60 year old blockade by America and some partners which prevented Cuba from obtaining valuable resources. Castro was dismayed at the attacks on ships running the blockade, ships destroyed by American military might. Castro went on to condemn what he called acts of terror by America against Cuban people. Castro is wrong on much, as we obviously know. But when it comes to recognizing Obama for what he is, Castro nailed him.